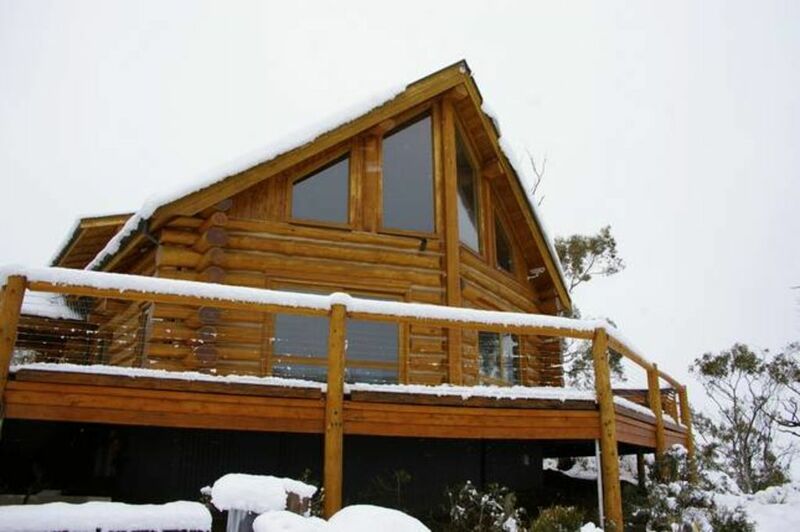 Genuine 4 bedroom Log Home with best views in Jindabyne. What could be better than staying in a Canadian style handcrafted log home in a commanding position looking over Lake Jindabyne with the ski hills in the distance? Log fire, central heating, outdoor fireplace, and a massive BBQ ...BLISS!! We have four bedrooms in Chilliwack Lodge three with queen or double beds and one with two king singles which can be connected together. There are two separate bathrooms (upstairs with the toilet in the bathroom and downstairs a separate bathroom and WC). We are 730 acres of mountain rural property with lots of wildlife and visiting kangaroos, plenty of walks or biking around the property available with incredible views. Best view available of Lake Jindabyne and the township. Views of all the ski hills and the Kosciuszko National Park mountains. We have Nespresso machine, Aldi Machine and Espresso machine. Huge decks with incredible views. We loved and enjoyed every moment in Chilliwack. It's a private holiday place yet only minutes drive to the town. The lake view is amazing. The property was clean and all we needed was there. Highly recommended. Such a Magical place with breathtaking views !! Thank you for the awesome review! Hope to have you again next year! Chilliwack Lodge was the perfect place to stay for a Snow Weekend with a group of friends. The kitchen was decked out with everything needed to prepare meals and the coffee machines are a great touch! The lodge is on a beautiful property with friendly kangaroos and amazing views of Jindabyne. Very well organised stay. Thanks for having us. You are very welcome! Thank you for the nice review! We thoroughly enjoyed our stay at Chilliwack, spacious, warm and comfortable, amazing views..
We've had several family holidays at Chilliwack in both summer and winter and we'll definitely be coming back. The location is perfect, the views are spectacular and the house is incredibly comfortable and well appointed. The property is also huge and a great place to explore. Tracy has always been very friendly and helpful each time we've stayed. Without doubt, it's the best accommodation in Jindabyne. Thanks for the review Ian!! A ladies weekend away was spent here. We throughly enjoyed our stay at Chilliwack Lodge. Very private. very clean, & very cozy. Just abit creepy being surrounded by the bush. Classic city folk!! Yes I must admit it can be a bit creepy out in the middle of nowhere even though you are close to town, having stayed there on my own a few times!! Glad you enjoyed your ladies weekend and the kangaroos did not scare you too much (they do wander around the house a lot)!! Hope to see you again soon! !